Below you can view all the homes for sale in the Las Verdes Heights subdivision located in Las Vegas Nevada. Listings in Las Verdes Heights are updated daily from data we receive from the Las Vegas multiple listing service. To learn more about any of these homes or to receive custom notifications when a new property is listed for sale in Las Verdes Heights, give us a call at 702-323-5933. Custom paint on the interior and exterior. Desert landscape for easy maintenance. MLS#2088466. Realty Executives of SNV. This is a nice home in a great location. Take a look. MLS#2089647. Advanced Real Estate Teams. and outbuilding is 550+ s.f.. Close to Strip, Major Transportation Route, and new Raiders Stadium. Walking distance to schools. MLS#2089162. Better Life Realty. Buyer To Verify Schools And All Other Information. MLS#2089082. Nicklin Prop Mgmt & Inv Inc. This is a SHORT SALE subject to bank approval. MLS#2085185. Forever Home Realty. 3 Bedrooms, 2 baths, and converted garage (not included in 3 bedrooms count). MLS#2084391. Investpro Realty. It's just been remodeled! 4 bedrooms and 2 bathrooms. MLS#2084264. Desert Springs Realty LTD. Stainless Steel Appliances, Laminate Wood Floor. MLS#2083208. Go Global Realty. Back yard has a beautiful pool! MLS#2083066. Renu Management Las Vegas. PRICED TO SELL and MOVE IN READY! ! 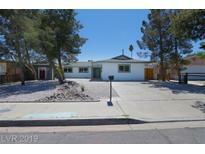 MLS#2075374. Maxim Properties. Fully Renovated 1 Story > 3 Bedroom>2 Full Bath> Ss Appliances>new White Shaker Cabinets> Quartz Countertops > Renovated Bathrooms > Tile Flooring Throughout. MLS#2080309. TR Realty. One of the least expensive pool homes West of the Strip! MLS#2079904. Black & Cherry Real Estate. Solar System installed in 2017, contract to be re-assigned. To be sold "As Is". MLS#2079806. Elite Realty. Seems much larger or more like 1700 feet add on back room. MLS#2079203. ERA Brokers Consolidated. *beautiful Newly Renovated Single Story Home* Located On A Large Corner Lot With Rv Parking*fully Upgraded Throughout*open Floor Plan With Plenty Of Natural Lighting And Ceiling Fans*wood Floors*cozy Fireplace*kitchen Includes Stainless Steel Appliances, Granite Counters, A Large Island And Breakfast Bar*five Spacious Bedrooms With An Extra Large Closet In The Master Suite*upgraded Landscaping In Front And Back*a Must See* MLS#2078404. Keller Williams Market Place. Designed to be both beautiful and fusional. MLS#2077644. Homeland Realty LLC. 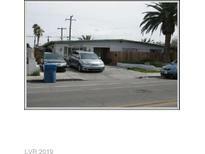 Centrally Located Near Strip And Major Shopping Area. MLS#2072050. Keller Williams Realty SW.
NEW Custom Kitchen, White Shaker Cabinets, Quartz Countertops, OPEN & SPACIOUS FLOORPLAN, Sliding Patio Doors, Stainless Appliances, FRESH Texture & Paint, Wood-Laminate Flooring Throughout, NEW Modern Bathrooms, Large "Mother-in-Law" Master Suite, Nice Pool, Private Yard & MORE! MLS#2068697. Simply Vegas. Must see today before this gem disappears! MLS#2066227. Investpro Realty. Short distance to tons of shops and restaurants. Sold AS-IS with no repairs. MLS#2063653. 1st Choice Realty & Property M.
Needs Some Tlc. Near The Strip. MLS#2061882. Realty ONE Group, Inc. Outdoor permanent barbecue patio perfect for picnic hospitality. MLS#2061016. Keller Williams Realty Las Vegas. Updated with open living & family room areas. Great income potential. MLS#2055298. Forever Home Realty. Tile throughout property. with Pool. MLS#2044239. BHHS Nevada Properties. Great for entertaining or family gatherings. MLS#2027450. Realty ONE Group, Inc.